"The networked world calls urgently for the kind of design that this volume systematically proposes. Globalization, overpopulation, climate change, economic inequality, political bubbles and religious fanaticism demand new forms of interpretation, comprehension and collective response. They require educated citizens who can critically analyze conflicting views, follow intricate lines of argumentation, understand complex models of evolving phenomena and organize effective democratic reactions. 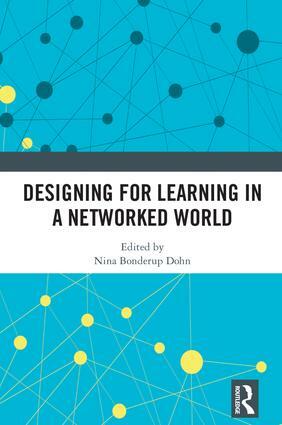 Networked learning with collaboration and computer support can only succeed in preparing students with the necessary social practices, participatory skills and transformed knowledge abilities through careful, innovative educational design such as clearly detailed in this book." Gerry Stahl, Professor Emeritus, Drexel University. "This is an impressively thoughtful and determinedly practical book: an illustration of what can be achieved when applied philosophy meshes with messy practices. The spaces where technology, education and design are co-evolving can be hard to picture, let alone describe. The contributors to this book have jointly succeeded in reframing and expanding our conceptions of some crucial aspects of learning and teaching in a networked world. Their example prompts and provides for greater self-scrutiny in the heady work of educational innovation." Peter Goodyear, Professor of Education, The University of Sydney. Nina Bonderup Dohn is Associate Professor in the Department of Design and Communication at the University of Southern Denmark.